One of the big issues our children face is the motivation factor. They crave sameness and they crave stability. But the world-at-large doesn't recognize and accept the fact that our children cannot accomplish certain social conventions without hard work. They must be taught how to converse. They must be taught how to act in public without melting down. They must be taught to remove themselves from their comfort zones and learn how to deal with the world as it is. Fair? No. The way it is? You betcha. So what do you do and how do you do it? In the first instance you make sure that the child understands who is the boss. That it is you, a therapist, a doctor, a teacher or a para. We used to call these people mentors. In fact, mentoring is still very big in corporate circles. If someone hopes to climb the ladder of "success" they generally need someone higher up to have their backs.That is the mentor. A mentor is someone who shows you the ropes. Helps you with your issues. Guides you as you learn, develop and grow. A mentor is also someone who doesn't make excuses for a failure or for a "hiccup." They are someone strong enough to make sure that their "charge" is on the right path no matter how difficult a path lay ahead. In another day and age society called them "masters" and "apprentice." 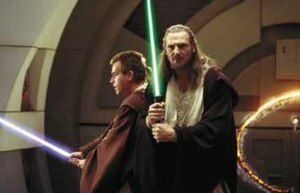 Since we are talking aspergeans here think Obi-Wan and Anakin, even Qui-Gon Jinn and Obi-Wan. Now that you understand your role as not only your child's parent, but as mentor, the question becomes, just how are you supposed to motivate them to understand that social convention is necessary to a successful life? One of the more difficult issues we face with CM1 is getting him to understand the necessity of small talk and how to make small talk. The entire idea is anathema to him. It is ridiculous to him. It is painful to him. I have to be very honest here. I think small talk is ridiculous myself. Why in society are we required to ask mundane questions of people who are basically strangers other than the fact that they are work colleagues, is beyond me. Hubby likes to explain it, that small talk is important to get to know and understand the people you work with. It actually makes interacting with them easier. I take his explanation as "gospel" and we run with it. We have hired speech therapists and behavioral therapists to help CM1 this semester and for the next few years with these very grown-up of skills in the hopes that he is able to get an internship, job and successfully apply to graduate school. This is not an easy task for CM1. Taking him out of his comfort zone and making him understand how and why he needs to build this skill is quite the challenge. Interestingly though when asked if he had a choice, we told him no he does not. That was then the end of the conversation. He just accepted the fact that he has no choice in the matter and that he has to do as he is told. So far so good. He has accepted the therapy and accepted the new people in his life. Was it always this easy? Heck no. I chalk this up to age, maturity and his true understanding that he has deficits that need support. Also the fact that he wants to have a successful life and accomplish his goals, helps in his new attitude. Again, it seems to me that he really is growing up. In high school we had actually stopped speech therapy because CM1 just wouldn't show up. He decided that it wasn't important and that in many ways he was beyond something so "babyish." Our foolishness was that we let him get away with that. Actually it was more than foolish, it was foolhardy and it actually ended up hurting CM1 in the long run. He is behind his peers now in pragmatic speech even more so than he would have been if he had had speech all these years. But at least we started up again, he is progressing and we gained some self-incite. So the question becomes how do you motivate a child or a teen who just doesn't want to follow the rules? Remember what we are truly talking about here are consequences to actions and the failure to follow the social rules. Most if not all our children, do not get that. That is why there needs to be a motivating factor. Something concrete that they can glomb onto in order to understand why, when and how. Note: this is very different than dealing with meltdowns, transitions and triggers. But some of the same methods can be used simultaneously to accomplish different goals. 1. Sticker charts, earn points toward a goal.. TV time, video game play time, books, movie time, etc. I don't like to use food in this instance, be it cookies, candy bars or even an apple. I think children who have eating issues to begin with should not have eating emphasized as an earned outcome. It is something they need to learn to do because they need to eat. I also don't like the "sweets" as reward idea. It reinforces the wrong thing and especially with so many of our children taking medication that packs on the pounds, the last thing our children need is emphasis on food. 2. Social stories..either written out very simply or in cartoon fashion. They should be succinct and to the point. Simple in explanation of what to do and even why. The motivation here would be, don't hit "johnny" when you play and he will want to play with you and be your friend. Friendship is a huge motivator, including friendship with your siblings. 1. Money...adolescents and teens like to buy things..games, special sneakers, DVDs, music, iPods, phones, etc. make them earn it by their behavior, doing chores (which are life skills) and functioning well in school. I know there is a huge issue about not paying your children for grades. Forget that...our children need concrete evidence of when something works and it doesn't work. Some abstract idea of leaning for learning's sake is not going to fly, especially since so much about school in and of itself is so hard for them, i.e. the social piece. Also with many teens they truly cannot see beyond the immediate. Your child doesn't have to be an aspergean for that. Letting them know that there are consequences in life for not doing their job, in this case, doing well in school, does let them in on the adult world. If you do not preform at your job, you do not earn money to buy the extra things you want in life. Hence, if you do not get the right grades (or even make a concerted effort), behave in school or at least attempt to function at an appropriate level there are consequences. Remember a hard won "C" is better than an easy "A." It is about effort not always just about results when you are trying to teach them perseverance too. 2. Explain it to them. Tell them why you are requiring them to behave in a certain way and what the ultimate outcome should be and what longterm consequences could actually occur. Treat them with respect. Honestly that is all alot of teens really want. Now it is not always easy for teens to "get with the program," when it comes to why they need to lean a particular skill or take a particular class, but talk to them nonetheless. Sometimes just sometimes, treating them as intelligent individuals able to understand consequences and actions will help in giving them the motivation to do what they need to accomplish. Will they always accept your thought and reasoning. Not on your life. But that doesn't mean you don't try to discuss it with them and teach them along the way. Mindblindness and obstinancy is quite the challenge. Even to the extent that I need to remind CM1 not to have soda at breakfast. The first thing in your body after a night's sleep should be something healthy not something full of chemicals. Don't have it in the house you say. 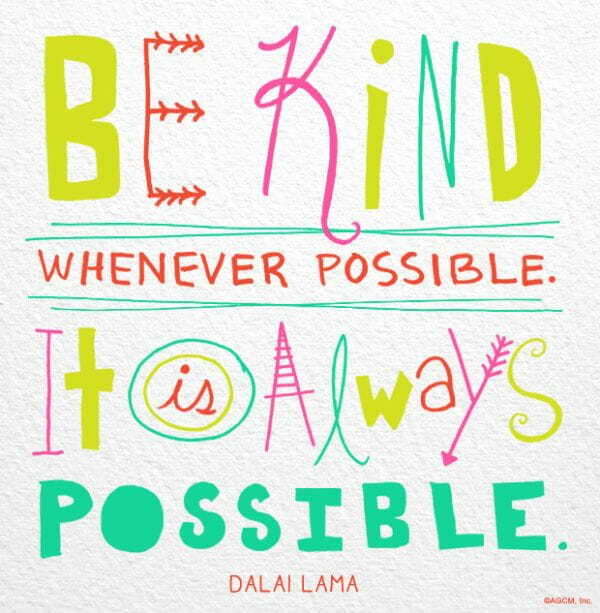 But its inundated throughout society. He has to learn to moderate his behavior, with food just as he learns to moderates his behavior in dealing with other human beings. Now CM1 in his own inimical way would always respond to me, " I don't tell you how to live your life." My response is always, "actually you do try but I have experience you should learn from." Honestly I should just record the conversation and response and play it instead of repeating the process over and over. Interestingly, Hubby used this response this weekend when we overhauled CM1's executive functioning program. And no it was not pretty. But it had to be done. CM1 deals with anxiety issues and a lack of executive functioning skills. Yeah I know, aspergean, what else is new? Well actually he has good executive functioning skills for his way of thinking. He knows where everything is and what he needs to do. What he has a fear of is not having what he needs at any given moment, at any given second in a classroom when he is at school. Since he commutes to college he has to take his books, notebooks and papers with him everyday. He is concerned that he will not have what he needs. Don't mention locker at school. It just wouldn't work. He would need two and three of everything and then he would have to keep straight which version of which book he used for reading, studying and organization. Added issues are not needed. We did offer to get him a kindle or any e-reader he wanted, for his books. But he rejected that because as he put it, "I don't study that way." Unfortunately the fear of being without the needed materials was reinforced early in his college career when one day he had left a particular book home that he needed for a class. He became very agitated and it ended up causing him terrible anxiety. The professor, as with the overwhelming majority of professors and personnel at his college, was nonplussed. CM1 was not penalized for not having the book as he was quite able to listen to the lecture without the book in front of him. But it caused a glitch. On we are dealing with today. CM1 would carry every book for every class with him back and forth to school every day. He had a huge backpack, and another bag full of books, papers, notes, handouts and his own research. He looked like a well-heeled homeless person. We recently put a stop to that. It was not fun and it has not been easy and it is not going to be easy for quite a while. Hubby, Wise old Sage, laid down the law. He tried to explain to CM1 how that was socially inappropriate. That he not only needs to learn social convention vis-a-vis conversation, but social convention about how you present yourself in public too. If you look discombobulated, disheveled and generally not put together it does not help your personal presentation. He needed to learn to go through his papers, books and notes to decide what he needs for the next class and what he really has time to read on the trip back and forth. Does he really have time to accomplish work in between classes and if so just how much could he read or write? So here you are the mentor and the motivator. The Obi-Wan of your apprentice Jedi. I realized years ago why Obi-Wan failed with Anakin. He refused to see what was right in front of him. His apprentice's need for respect, understanding and his own refusal to review the motivating factors behind Anakin's ego and how his teaching methods were in reality, failing Anakin. In truth Obi-Wan lost Anakin because at one point he truly just gave up. You can give up by not understanding who your child is too, nor seeing them for who they really are. No our children will not end up Sith Lords or genocidal control freaks intent on ruling the world if we mess up. However, the trick is to quite frankly NOT mess up. Stay one step ahead of them, understand them, motivate them, cajole them, wrangle them but above all don't give up on them.